Derry ~ Londonderry is one of those places that for a long time has been associated with conflict. If you’d asked me a month ago what I knew about the city, I would have mentioned Bloody Sunday and The Troubles. Don’t get me wrong, these tragic events are part of Derry’s identity today and must not be forgotten. But perhaps it’s time for the walled city to be known for more than that. 2 So why should I visit Derry? 7 Planning to explore further afield? Derry is a testament to what positive community relations can do for a place where conflict has ruled most people’s lives. 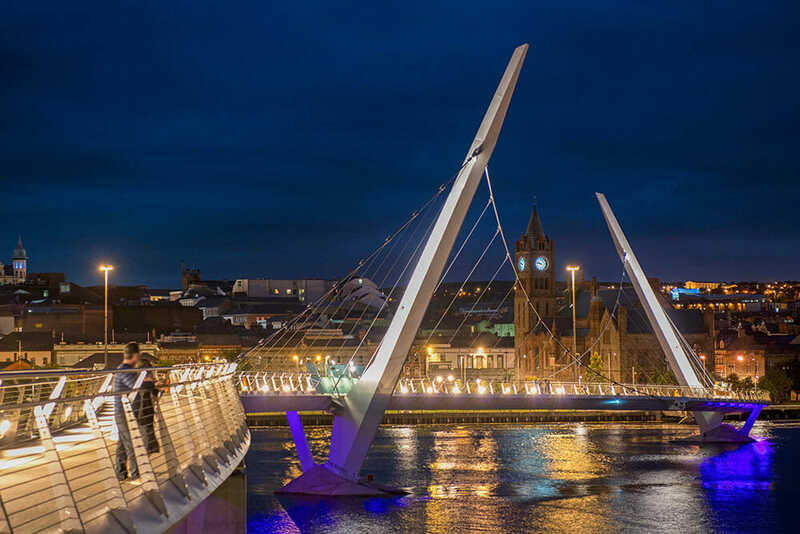 Things have changed at a rapid pace in the last few years, and Derry is now a place of hope and of increasing prosperity. This was evident to me over the two days I spent in the city. Locals, whether catholic or protestant, are proud of what both communities have achieved and there is a constant feeling of optimism in the air. 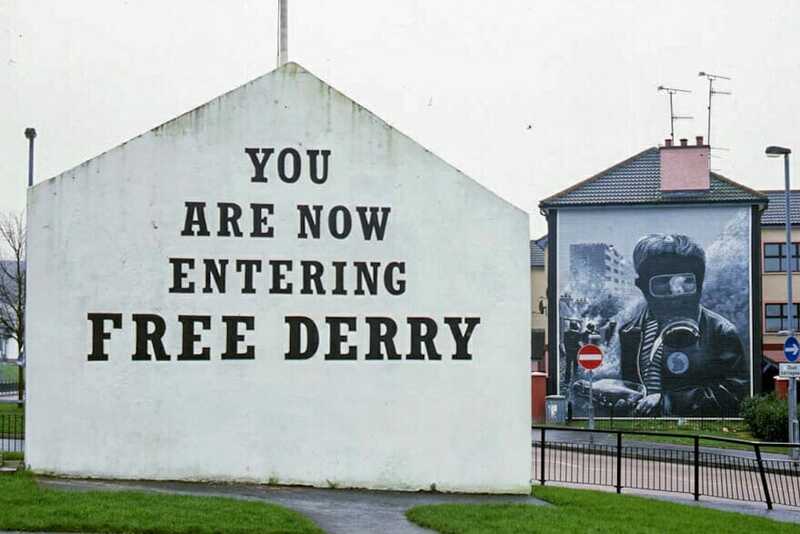 So why should I visit Derry? As I discovered myself, Derry is a city full of powerful ancient and recent history, a foodie’s paradise, with quaint Georgian architecture and a vibrant cultural scene that is ready to be discovered by the outside world. 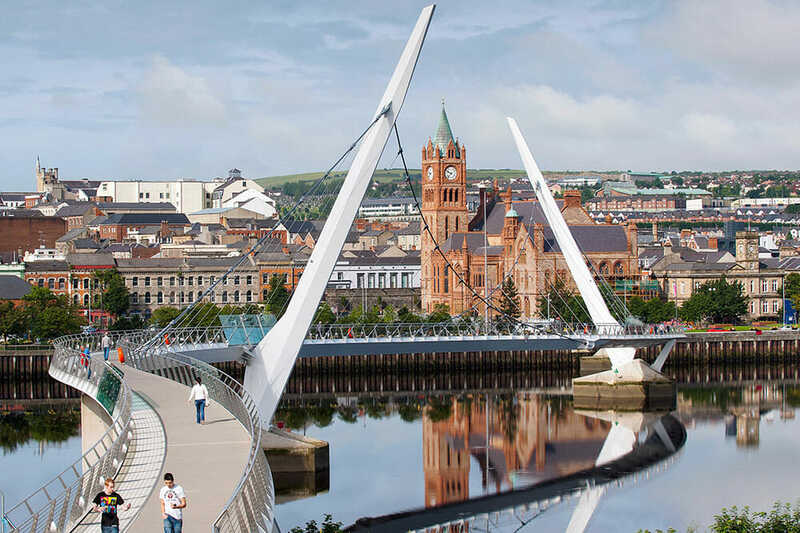 Divided in two by the River Foyle, Derry is very close to the border with Ireland. Its biggest draw are the 17th century walls that fully enclose the old city, one of the finest examples of a walled city in Europe. It is also a great starting point for the Causeway Coastal Route, that takes you past dramatic cliff-top castles, white sandy beaches, charming little villages, and of course, the famed Giant’s Causeway. Here are some suggestions to get you started. I’ve highlighted some of my favourite places so you can pick and choose to create your own perfect Derry trip. Enjoy! 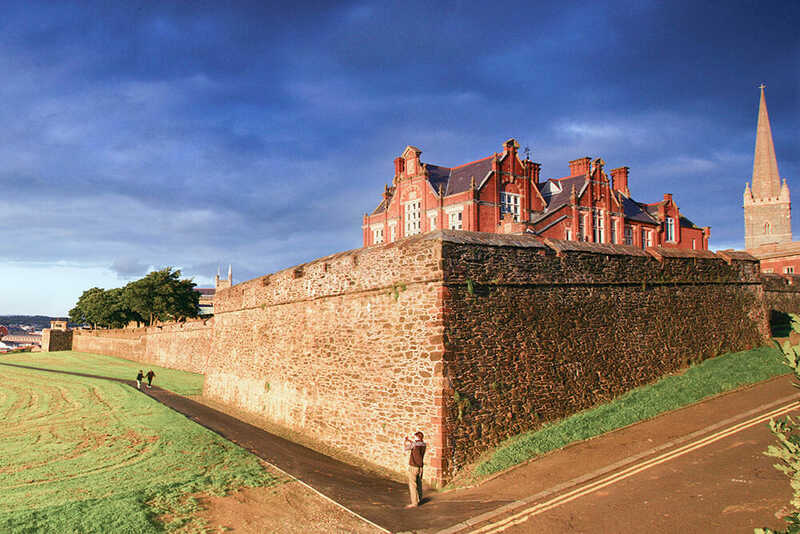 Derry’s star attraction is the 17th century walls, the only remaining intact walled city in Ireland. The walls form a historic walkway of just under a mile all around the old city and offer great views over the surrounding neighbourhoods. You will also come across the actual cannons that played a big part in the two 17th century sieges. I had the best guide I could have wished for, Garvin from City Tours, a local man so passionate about Derry’s history that he really brought it to life. And he seemed to know everyone we walked past! An award winning museum, it is an essential visit in order to understand Derry’s past and present. It houses two permanent exhibitions, The Story of Derry, which tells the history of the city from prehistoric times to the present day, and the Armada Shipwreck. The museum is open daily and admission is £4. 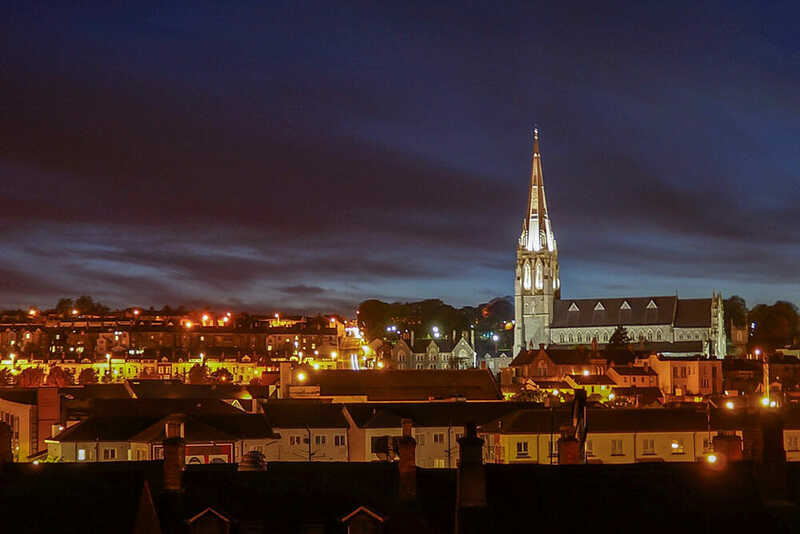 One of Derry’s most recognisable landmarks, it is a must see destination for visitors. 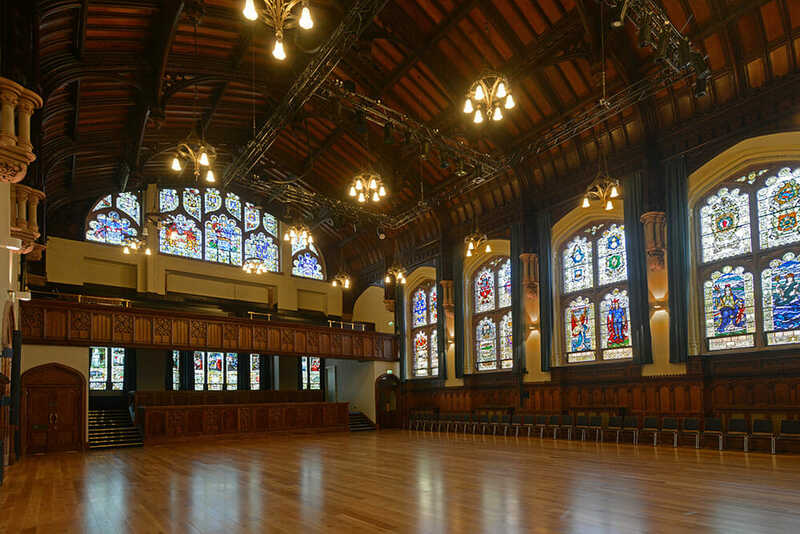 There is a permanent exhibition about the Plantation (organised colonization) of Ulster, but it’s worth a visit just for the stunning stained glass windows. It’s open daily and it’s free entry. The Bogside is a neighbourhood outside of the city walls where many of the events of The Troubles, including Bloody Sunday, took place. 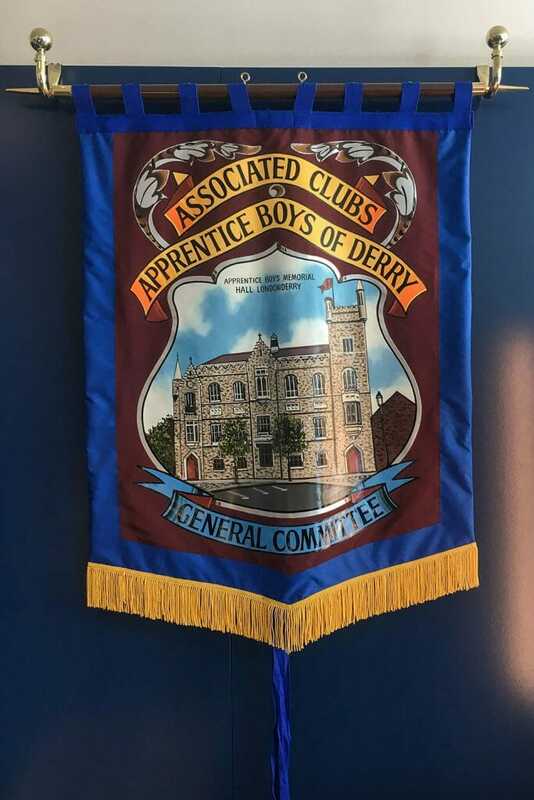 You can do a tour that visits the key locations of these events, including Free Derry Corner, a free-standing gable wall that commemorates Free Derry. 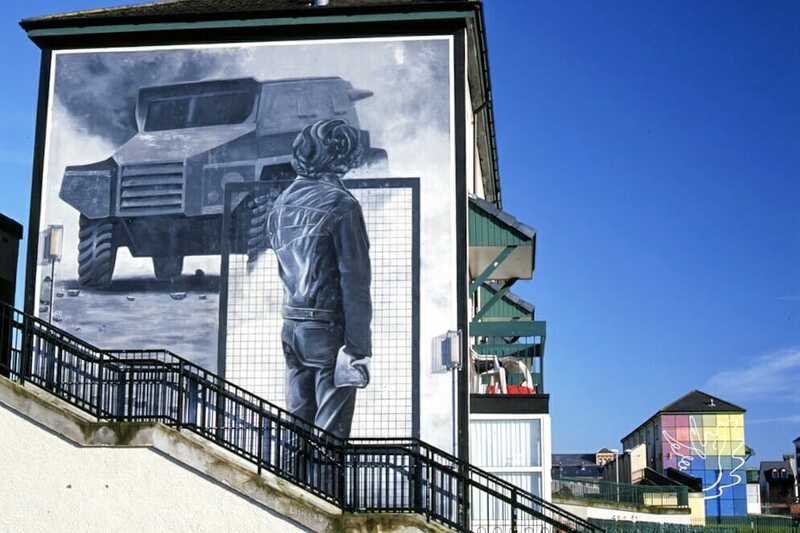 You will see the People’s Gallery, a collection of large gable wall murals by the Bogside Artists that remember the events of The Troubles. Free Derry Tours is run by Eugene, a local Bogside man who knows the history of the area first hand. 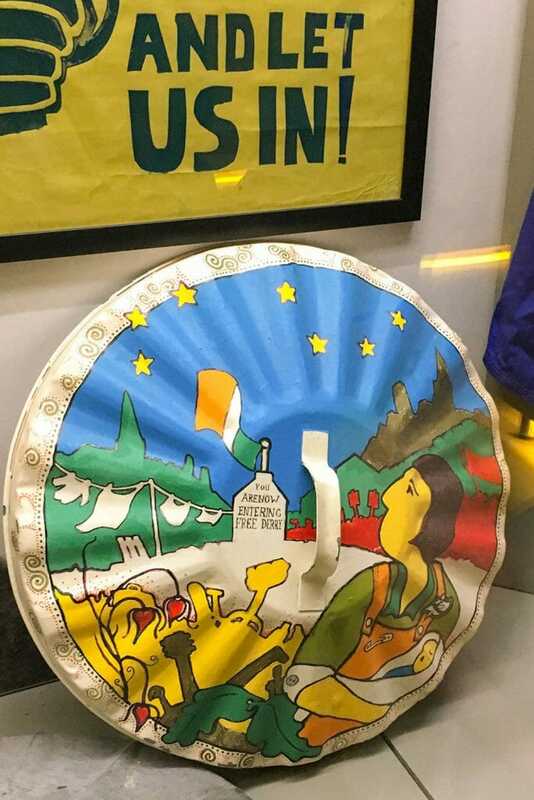 Tours leave from the Museum of Free Derry, so combine a tour with a visit to the museum for an in-depth view of the events. 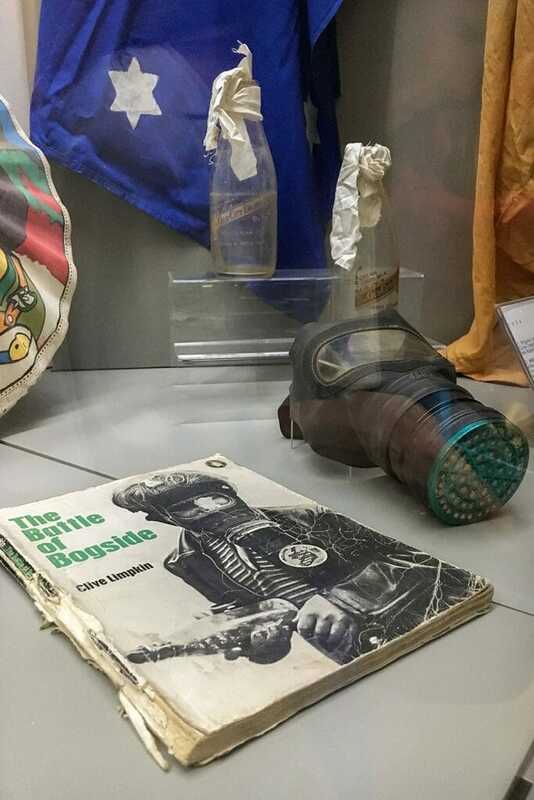 This museum tells the story of what happened in the city during the ‘Free Derry’ period (1968-72), and covers the civil rights era, the Battle of the Bogside and Bloody Sunday amongst other key events. What makes this place special is that the story is told from the point of view of those who were most affected by and involved in the incidents. It is an emotional journey through the events of the time, but one that everyone should learn about and they must not be forgotten. Entry is £4. The Peace Bridge was conceived as a project to literally ‘bridge’ the gap between the two communities of the waterside (protestant) and the cityside (mostly catholic). Originally there were concerns that people may not use it because who would want to visit ‘the other side’? This S-shaped bridge has proven to be a great success and has been pivotal in bringing the two communities together. It stretches from Guildhall Square to Ebrington Square, where you can enjoy a great view of the city. 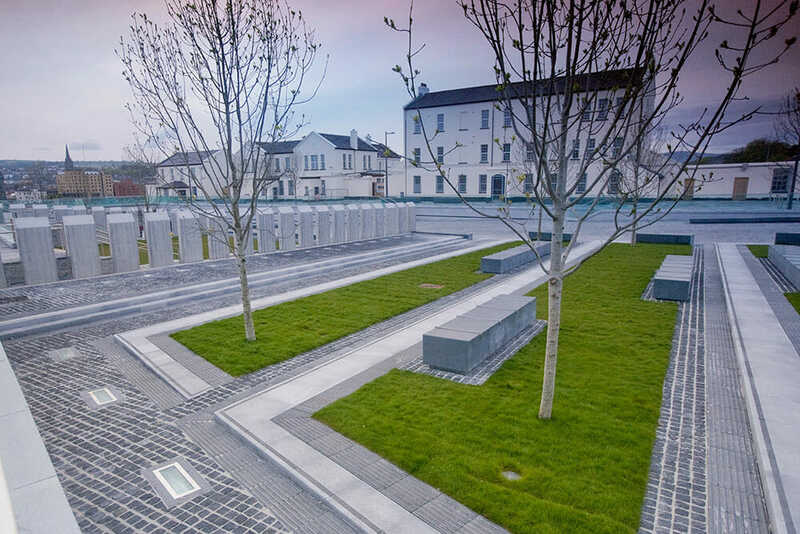 Recently regenerated, Ebrington Square was the site of the British Army barracks until 2002. It is now an open square where you can find a small but perfectly-formed brewery, Walled City Brewery, that serves delicious pintxos and craft beer. There are also plans for a distillery to open in the square in 2018. 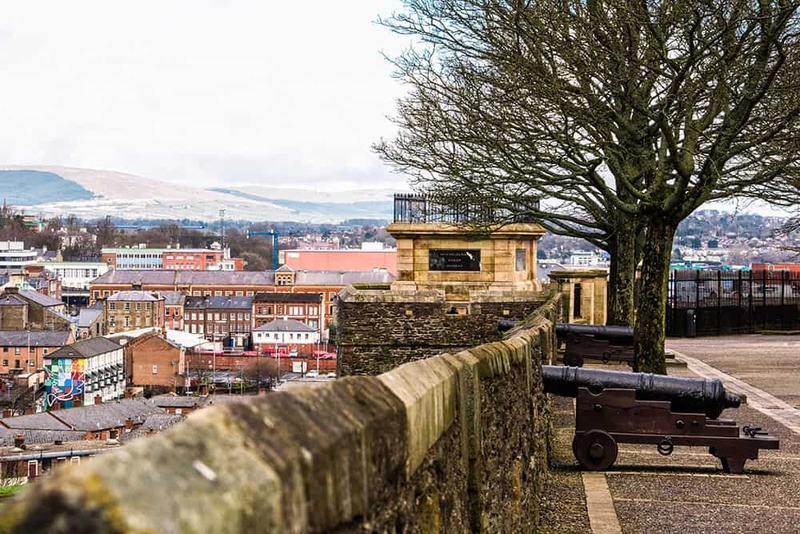 The Siege Museum is dedicated to the history of the Siege of Derry and the Apprentice Boys of Derry, who commemorate the events of the Siege with two annual marches along the city walls. These marches used to be seen as a provocation and they always resulted in riots, but thanks to the reconciliation between the two communities in the city, they now pass almost entirely without incident. The museum is closed on Sundays and entrance fee is £3. 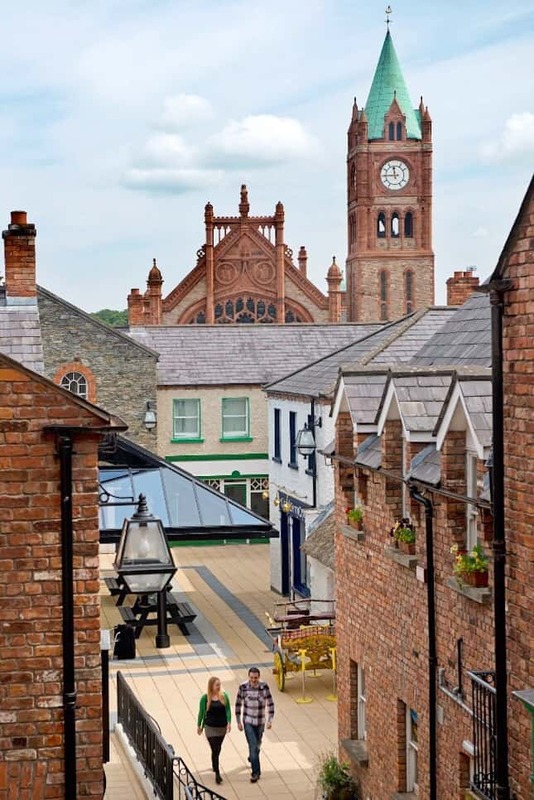 A little bit of an oasis within the city, Derry Craft Village is a Dickensian style complex with craft shops, balconied apartments, restaurants and coffee shops. It is ideal for a browse around the cute independent shops, for a nice meal or just a drink. Built shortly after the city walls, it is the oldest building in the city. You can book a tour directly by emailing the Cathedral, or you can just go for a stroll on the grounds. 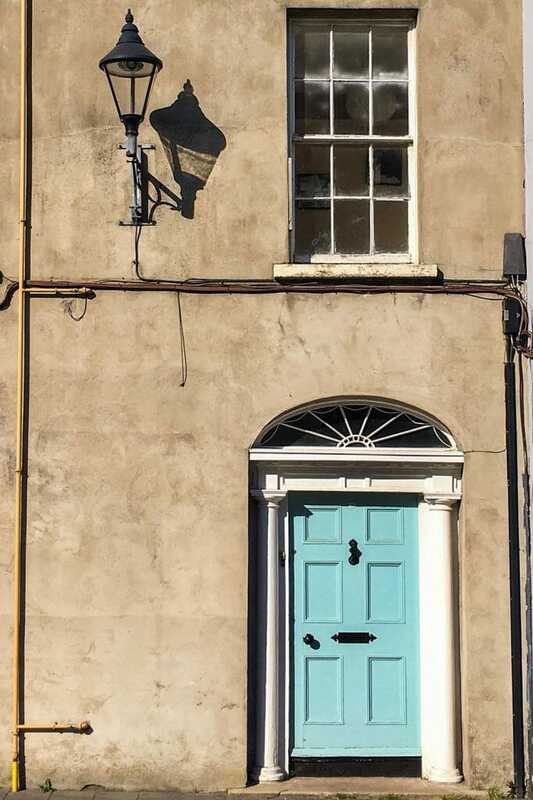 The name of the city of Derry~Londonderry has been the subject of a naming dispute between Irish nationalists and unionists. Generally, although not always, nationalists favour using the name Derry, and unionists favour Londonderry. “The insertion of the hyphen between the words ‘Derry’ and ‘Londonderry’ was the grammatical equivalent of the city’s Peace Bridge, a device to link the two communities without diminishing either.” – Dr Paul Nolan, author of the Community Relations Council’s (CRC) third Peace Monitoring Report. I have chosen to go for Derry for simplicity reasons. 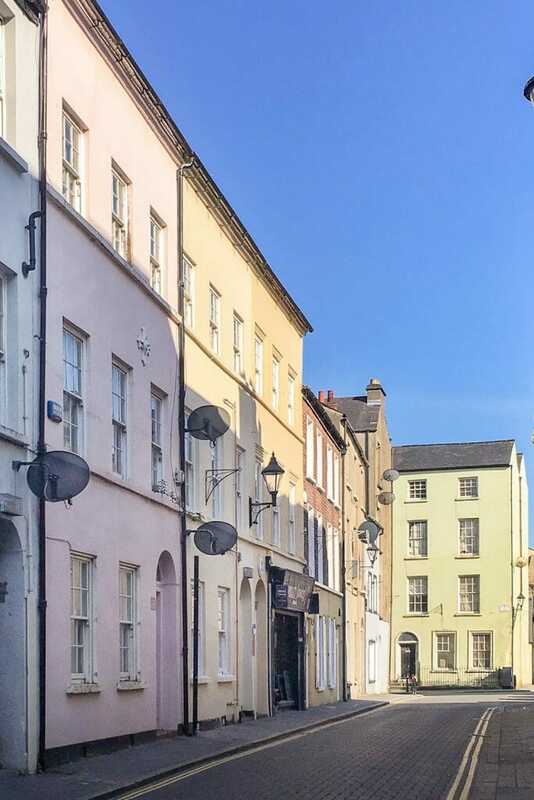 Located within the historic city walls in the heart of Derry City’s Cathedral Quarter, this hotel is the perfect base to explore Derry’s iconic tourist landmarks. 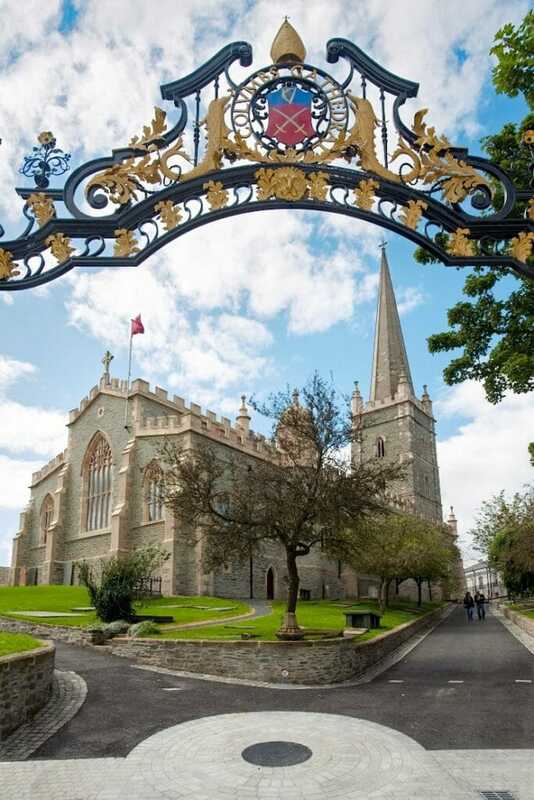 These include the historic walls, Church Cathedral of St Columb, The Guildhall and the Peace Bridge. Would you like more info? Click for Tripadvisor reviews. 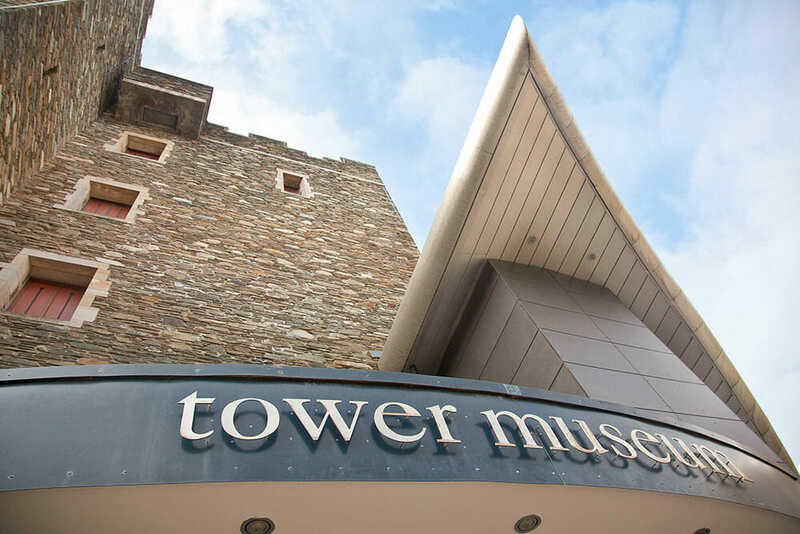 On the banks of the River Foyle, City Hotel is just 550 yards from the Tower Museum. The famous golf courses at Portrush are less than an hour’s drive away, and Foyleside Shopping Centre is within a 10-minute walk. 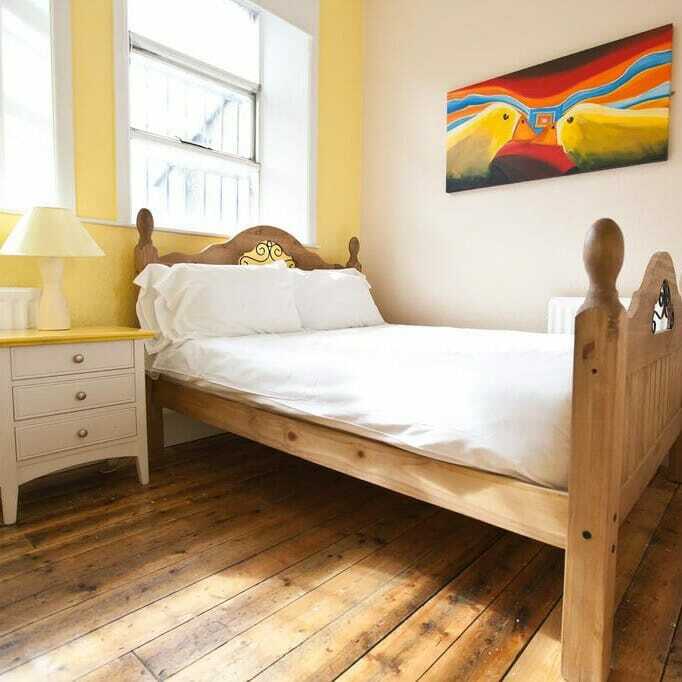 It is Derry City’s largest hostel and is situated in the heart of the historic walled city. 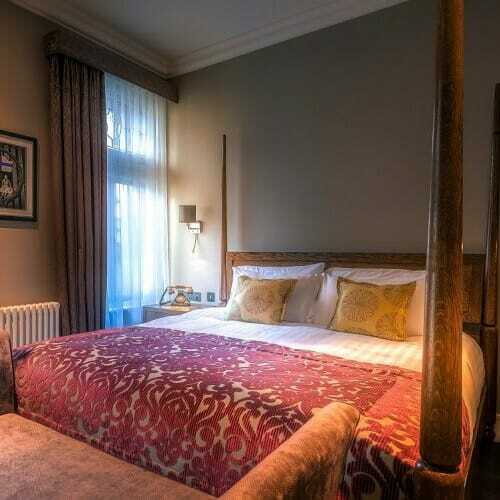 It is only 2 minutes from all the action of the pubs, clubs, restaurants and the city’s vibrant nightlife. Or if you have specific requirements, use this search box. As of February 2019 Flybmi has sadly ceased trading, but Derry is still very easy to access from other airports such as George Best Belfast City Airport, Belfast International Airport, and even from Donegal Airport, which has been voted as the most scenic landing in the world. 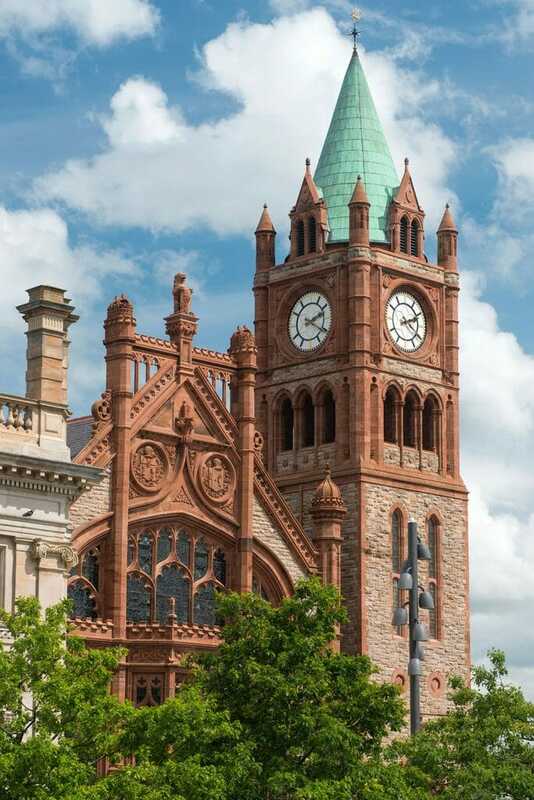 There are two daily flights from London Stanstead to Derry with flybmi, with fares from £44 one way. Book your Stansted Airport Parking with Holiday Extras. Early flight? 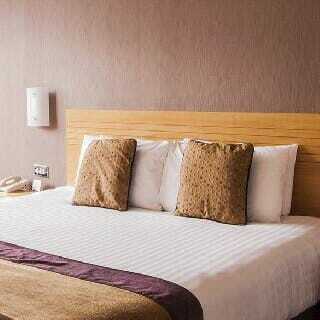 Check out Stansted Airport Hotels with Holiday Extras for the best hotel deals. There is a direct train from Belfast Central to Londonderry Station that takes just over two hours. Bus 212 leaves Europa Buscentre in Belfast to Derry every half hour. It takes approximately 1 hour 50 mins. Planning to explore further afield? If you would like to get out of the city, driving yourself along the Causeway Coastal Route or through the countryside, can be a great option. But car hire is not cheap, so to get the best deal, click on this banner below. Great piece – glad you enjoyed your visit to our beautiful city! Loved the piece about the city – shows it in a great light that you don’t see on the news. Thank you Maria. I’m really happy you enjoyed the post. Thanks for the note about the Belfast bus. I have corrected it. Hi Teresa. I enjoyed reading your post about Londonderry. I want to share it with all my fans over at Northern Ireland Travel, so I’ve scheduled your post to go out on my fanpage tomorrow morning. You can see it here: https://www.facebook.com/NorthernIrelandTravel/. stunning pictures – where did you eat? Lovely blog post. I have shared on my business page Facebook.com/DerryPhotos. What a lovely snapshot of our beautiful city. At Elaghvale Camping Park we frequently hear the same reports, we have a city wishes acknowledges its troubled past but continues to drive towards a brighter future. Hope you visit again. Derry sounds amazing! It’s great to hear how much the spirit of the city has improved in recent years too. I have some friends from Northern Ireland so definitely need to visit on my next trip to the UK! Wow, Derry looks beautiful and not how I expected! Your photos are wonderful. I’ve been wanting to visit Northern Ireland for a while – I’m only in England so no excuse really! This article has made me even keener to get over there. Thanks for the ideas! This was very informative! The pictures are definitely very inviting. Hoping to make it sometime for sure and hence pinning the post. 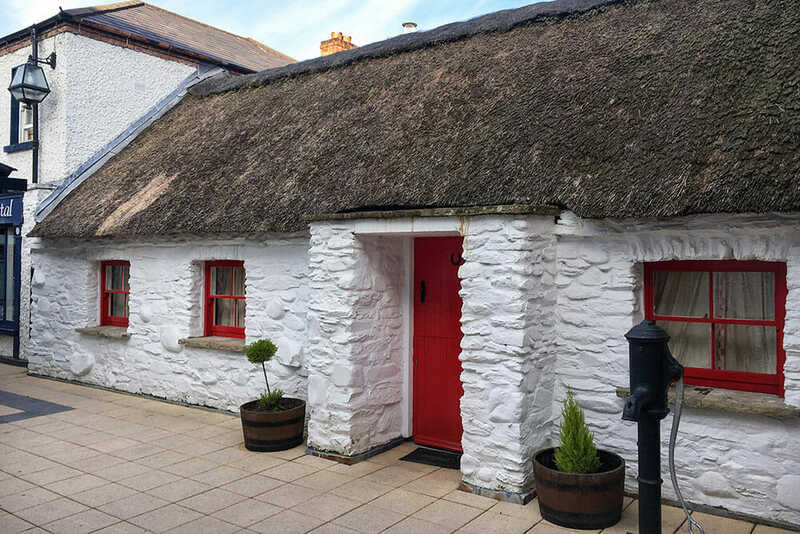 The traditional cottage in Derry Craft Village looks like a nice little cream cake 🙂 :)…. I never knew there was such incredible architecture there! You represented it well! Good post & beautiful photos. I’d never heard of Derry until now! I LOVE visiting walled cities. They have such a cool vibe. I’ve never been to Ireland, but I’ve always been really curious about the country. Adding this to my travel list for sure. Thank you so much for the beautiful tour of Derry, my hometown from long ago. Wonderful to see that the places of my childhood memory have survived and the City appears to be thriving. Worth a visit for sure!